It’s true that on the surface, Korean girls don’t appear as obsessed by their looks as Western girls; they don’t wear any make-up until high school (and even then wear a minimal amount), they don’t wear a lot of jewellery, no hitched-up skirts or high heels, and the ponytail is the only hairstyle I see. However, underneath the surface, these girls have far more disdain for their appearance, and it’s only when talking to them that you realise how incredibly low their self-esteem actually is. The way the word ‘ugly’ is thrown around is shocking; it’s a word only really used in England as an insult or as an extreme, and definitely not a word used normally to describe people. In my opinion, it’s a word which shouldn’t be used at all due to its overwhelmingly negative connotations. It’s so weird to see friends talking about one another in this way, when for me, it’s always been girl code to automatically support your friends when they’re feeling down about themselves: “You’re not ugly”, “No-one can notice the spot on your chin”, “Of course you haven’t put on weight”. The fact that friends are so quick and happy to insult, and to receive insults from each other without any offence just demonstrates how low their self-esteem actually is; it’s normal for them to be called ‘ugly’ and to accept this as fact, because they believe it. With such bad views of themselves and how openly they discuss their ‘bad’ looks, it’s no surprise that plastic surgery levels are sky high. 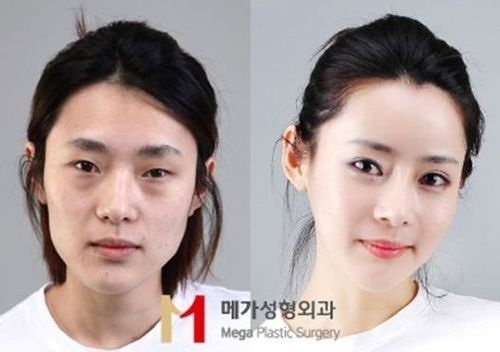 According to reports, ‘1 in 77 people’ now have surgery to change their appearance, and ‘20% of women aged 19 to 49 in Seoul admit to going under the knife’. Double eyelid surgery is increasingly popular and is something many of my students have expressed their desire to get done when they’re older. when I see double-eyelid tape and glue in CU convenience stores, it reminds me how the pressure for girls to change their looks is everywhere. Of course, the K Pop girls don’t do anything to boost confidence among teenagers- they actually have the opposite effect, and make the girls feel even more inadequate. One K Pop star admitted that she had so much plastic surgery, people no longer recognised her. Pop Dust website also describes how the stars no longer care about keeping their surgery a secret; one girl group, Brown Eyed Girls sang a parody of Lady Gaga’s ‘Poker Face’, called ‘Plastic Face’. Is this a good message to send to impressionable young girls? I think not. When photos of the 2013 Miss Korea Beauty Pageant finalists were made public, they were criticised by many people who thought the girls had undergone so much surgery that they all looked the same. The desire for surgery was blamed on the desire to look more Western. Even without resorting to surgery, I’ve witnessed many older girls wearing a lot of make-up, especially eye make-up, to try and look more like the ‘pretty’ girls on TV. Of course, it isn’t just in Korea that celebrities and the media have a damaging effect, it happens everywhere: extreme diets, changing of hair colour, make-up experimentation, fake tans… people trying to transform into someone else. But in Korea, it seems more extreme, perhaps because everyone wants to look the same. This results, as was made clear with the 2013 beauty pageant, in a group of beautiful clones with minimal individuality. I know that for teenage years, and for many years after, women all over the world use make-up, endless hair and beauty products, and go on fad diets to achieve some sort of ideal. But I feel like pressure on Korea girls is so much worse, and it’s worrying. It seems like all societal expectations of the Western World are magnified in Korea; school pressure is ten-times worse, the pressure on women to find and marry a ‘suitable’ man, and in the same way, the pressure to look good seems so much more extreme than in other countries. My question (and worry) is ‘when will it stop?’ A lot of Koreans face too much stress in their lives as it is, and beauty is one pressure point too much. Instead of trying to alter their looks, girls should accept who they are and not view themselves with such harsh negativity. I want to shake sense into my students sometimes, to stop them being so down on themselves and make them believe that they are in no way ugly. Teenage years are for having fun, for being with friends and family- not for worrying that you don’t look the same as the celebrities. In fact, I wish I could go back in time and tell my teenage self the same thing… well, hindsight is a wonderful thing. 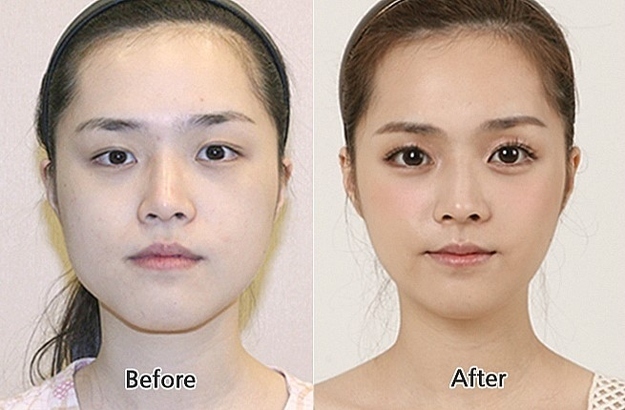 Why South Korean High Schoolers Want Plastic Surgery? Check out their answers here.